New informations of EPISODE 6 and Release Date. 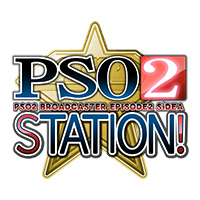 New information about PSO2es updates. New information about Idola Phantasy Star Saga updates. Rui Tanabe (CV: Mitarashi) and Rie Hikisaka (CV: Tetra) will appear as special guests. Arks Battle Tournament 2019 Tokyo Qualifier. Last edited by Maiillson; Mar 9, 2019 at 11:13 PM. By precedent, Episode releases have been 4 to 6 weeks after the Livestream where they announce the date, so I'm putting my money on either the 10th (with no update on the 3rd) or the 17th of April. I might lean more toward the 10th since that would line up the schedule nicely for Golden Week: Episode 6 Release on the 10th, Update on the 24th, No Maintenance on the 1st for Golden Week. Last edited by Anduril; Mar 4, 2019 at 03:23 AM. Dammit, I wanted to post that. That schedule is pretty good for us westerners... it lines up with Easter holidays (both Catholic and Orthodox), at least for those who can enjoy those. Double amount of Mana acquired. Reduce amount of Towers to two. The Final Phase will have only one side with enemies on the stairs. Mana will automatically be picked up as you near them. The last one made me rejoice the most. No longer will lag screw over mana farming and makes picking it up a breeze. Just give me the weaponoid scratch, contest winner scratch, Basilis weapon sheets, and EP6 release date, and this would be an amazing psostation. No more collabs no one asked for. bro dont you understand it takes 6months-1yr to implement these costume designs into Segas insanely busy schedule?? ?